A teenager with an acoustic, green guitar (original price 40 Deutschmarks, that would be around 20 USD) and a chord table that had been excerpted from a book… As an economical German, I had never thought about expensive guitar lessons, either. I rather played for myself and experimented with my guitar on my own, repeating and memorizing what happened to sound good. At the same time, I tried to avoid producing anything twice which sounded so wrong that not even my creative imagination would be able to hear anything else in it than some interpretative jazz chord. After my Abitur, I rewarded myself with an electric guitar. This guitar is still hanging on the wall and has mainly preserved its virginity. Somehow it never worked out between us.. I gave all my attention to the acoustic guitars, and nowadays, when we start to play a song with the Dark Ride Brothers, you can immediately feel why that was right. Nowadays you hear so little acoustic music (for example on terrestrial radio) that the clear and warm sound of acoustic instruments immediately attracts attention. 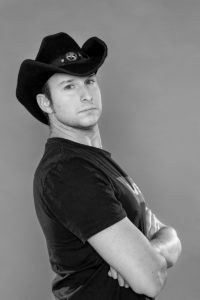 The ears are grateful for the lack of drums, distortions and synthetic elements and enjoy our varied styles ranging from the gentle picking of melancholic ballads to the powerful shredding of tuneful pub songs and unique pearls of rock history. When acoustic instruments unfold their sound, the soul starts to relax and the body gets goosebumps. And what is more beautiful than sitting with somebody you love on a jetty near a Finnish block hut in a warm summer night with your legs in the lukewarm water of the lake, and careful picking the strings? Yeah, it was good that things did not work out with my electric guitar back then. For me, grabbing the guitar is directly linked to different life situations. Both dark and bright moments are a part of it. A guitar does not ask questions and it never nags. It does not make things unnecessarily complicated. It is always there, always ready. Wood, and six strings, through which one can express more than through any language. And the biggest advantages compared to a lot of other hobbies: you do not have to switch it on, you do not need to go anywhere with it and it works without gas! Maintenance costs almost nothing. Even the weather does not matter, in fact, not even light is needed (as a matter of fact, the Finnish winter has forced me to look less on the fingerboard). 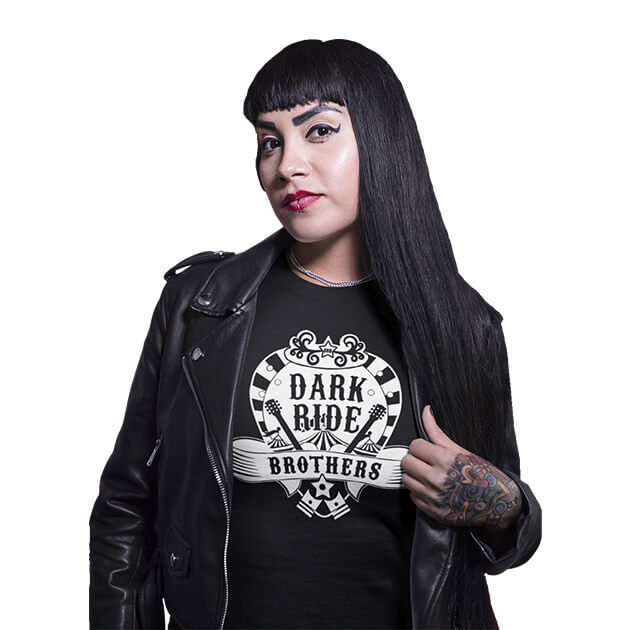 After rather short episodes in less serious band projects from party music to and rockabilly, which traditionally dissolved at the peak of their success, I realize that the Dark Ride Brothers are kind of a second home to me – maybe even more than that. Playing in a band has never been so easygoing. You do not need to think a lot. Every now and then you may see and hear lightnings and thunder coming out of our rehearsal room (or, as Garth Brooks puts it, the Thunder Rolls), which is probably due to the stubbornness that is characteristic for many musicians. But mutual respect, openness, and appreciation of the abilities and ideas of the other band members and finally the common love for music always guarantees a brilliant result. No matter what new song we work on: every Dark Ride Brother instinctively takes his own place, develops his part further at home and the next time we meet we find ourselves already fine-tuning. Rehearsals and concerts of the Dark Ride Brothers leave you with a good feeling. A feeling that great feeling that even I started singing. And that really tells it all. By far the best reward is to see that the audience is having fun – or even singing and dancing along. Our Dark Ride Brothers performances have been full of such moments, and my goal, my motivation (besides of working on my singing and guitar techniques) clearly is to share these moments with as many people as possible. No language in the world is can describe the feeling that comes with our live concerts. See you - hopefully - at the next gig!